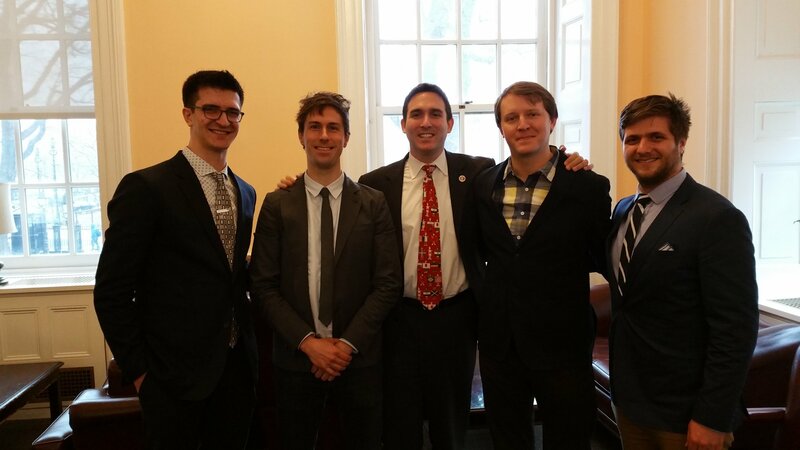 The OSI was invited to provide commentary on New York City Council's consideration of the Free and Open Source Software Act and the Civic Commons Act, both proposed by Council Member Ben Kallos. These bills would increase the use of free and open source software by New York City departments and agencies. On February 23rd, 2016 OSI Board Director Paul Tagliamonte, speaking on the OSI's behalf, presented the following testimony to the City Council. We would very much like to thank the New York City Council, the Contracts Committee, and New York City Council Member Ben Kallos for the opportunity to speak. Thank you to Council Member Benjamin Kallos for inviting the Open Source Initiative (OSI) to give testimony relating to Introduction 366-2014 and 365-2014. I am submitting this testimony on behalf of the OSI, as a member of the OSI's Board of Directors. The Open Source Initiative is a 501(c)3 non-profit whose mission is to protect and promote open source software, development and communities, championing software freedom in society through education, collaboration, and infrastructure, stewarding the Open Source Definition (OSD), and preventing abuse of the ideals and ethos inherent to the open source movement. Free and Open Source Software (FOSS) is software which, at its core, defends the rights of its users. As a body which is accountable to the taxpayers, it's the duty of any Democratic Government to be accountable to its citizens. By ensuring the Government operates using as much Free and Open Source Software as possible, you ensure that both the Government and its citizens have visibility into the software which is running the Government, as well as ensure citizens are able to truly use any works or data produced by the Government. As technology starts to become a bigger part of how cities operate, it's critical that different components are able to interoperate and evolve as the city evolves. The ability to modify the software will only become more important as time goes on. Even when it comes to support for a large-scale deployment, proprietary software forces the city to sign large contracts with a single vendor to ensure the systems continue to run. With Free and Open Source Software, commodity contractors are able to maintain these systems. This keeps the work at market rate, and allows the city to contract local software shops, helping taxpayers ensure they get the best value, and keeping city dollars with citizens. Finally, by providing a shared platform that allows the city to collaboratively maintain and host software it depends on, you can provide an incentive to pool resources and in some cases engage citizens in collaboration, thus reducing cost to the taxpayer by eliminating redundancy by not having to maintain multiple installations of the same software. Executive Director of BetaNYC, Noel Hidalgo; Participatory Politics Foundation Executive Director, David Moore; Software Freedom Conservancy Executive Director, Karen Sandler, and; Free Software Foundation Executive Director, John Sullivan also provided testimony in support of the acts. We wish the New York City Council and the City of New York all the best in your exploration of Free and Open Source Software, fully support your efforts, and stand ready to offer our assistance in any way you may need. Will New York City Embrace Open Source Code?